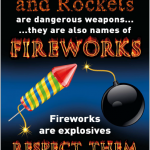 Devon and Cornwall Police are encouraging those celebrating Guy Fawkes night to remember that fireworks are explosives and should be respected. 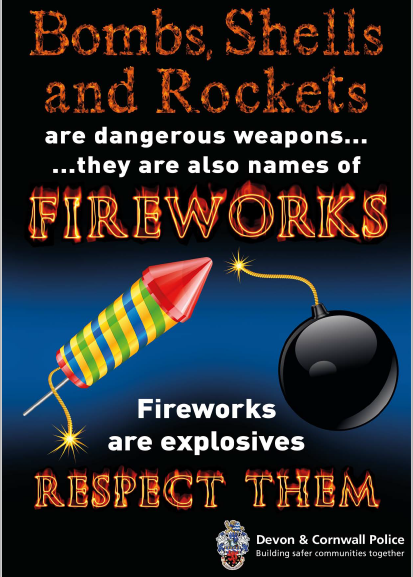 We understand that fireworks are a traditional part of the celebrations, but they are dangerous explosives and cause many serious accidents every year. Please read our advice below and remember the safest way to enjoy foreworks is to go to a professionally organised event. •Never put fireworks in your pocket or throw them. •Never throw used fireworks, paraffin or petrol, on a bonfire. •Take care around bonfires, especially keeping clothing away. •Make sure bonfires are out and surroundings are safe before leaving. •Misfired or partly used fireworks should be soaked in a container of water and the manufacturer should be contacted for advice on disposal.